Amazing Company Profile Design : Call 0776 260 360 now! One of the key assets to advertising your company and its services is a company profile document. A company profile is a vital asset that helps your business to stand out from the rest of the competition. When we create a company profile for your business, we make it printable so that you are able to print it or e-mail it to your clients. You have both options to choose from. We create company profiles that are in accordance with businesses’ corporate branding, vision, style as well as objectives and which compliment your website design. As mentioned above, a detailed, powerful and crisp company profile will help you stand out from the completion. 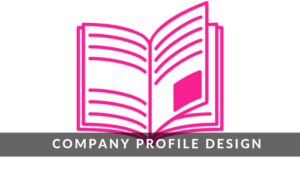 A company profile design will help your business reflect its image. Not only that, it emphasizes on the business’s seriousness towards quality of products and services. Also, a company profile that is well designed will give the audience a clear message that you thrive and believe in quality. Finally, you get your company profile design ready for print or as per your requirements and needs in Zimbabwe. Please send us a detailed brief of your company as well as requirements. It’s beneficial for us to work with your corporate identity or brand image when we create your company profile. Contact us today for the best company profile design. Here at SPEMedia, we create company profiles that suit different audiences as well as to purposes. We also produce products & services explainer videos and do photography to compliment your company profile. Can you help me with getting a Company Profile Design in Zimbabwe? Yes we can! Why not give us a call on +263 776 260 360 or email us to discuss your Company Profile Design project whether you are in Harare or anywhere in Zimbabwe. Get a free no obligation estimate or contact us to discuss your exact requirements. We appreciate that your business is unique in its own right. Therefore, we will develop a personalised Company Profile Design plan and approach for you. Kindly fill the form below and we will reply you urgently with a custom pricing quotation. We are open from Monday to Friday 8 am to 5 pm.